This blanket was a LOT of work and left me with a "crochet injury"!! Worth it though :-) This is a very unique blanket done in the colors melon green, black, and white. 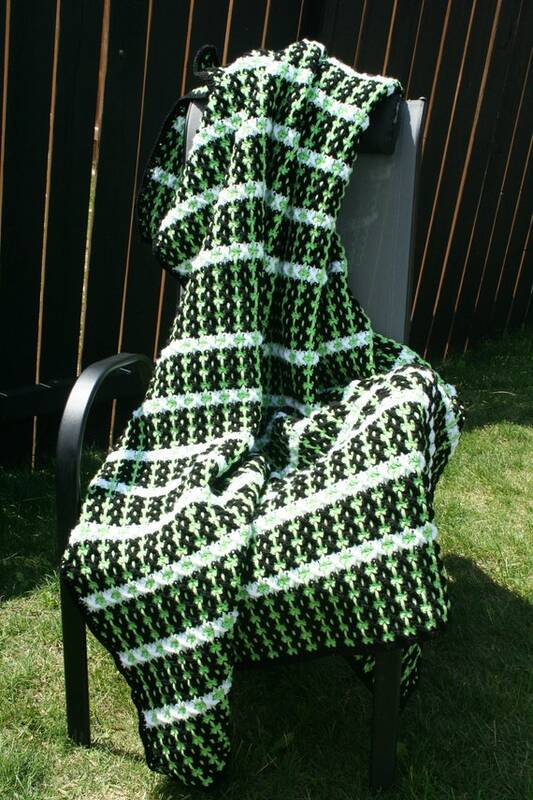 The front of the afghan is very different than that of the back so if you are in the mood for a more melon green use the back or for a more subdued green use the front. This is a heavy blanket perfect for those chilly nights indoors or outdoors. I crocheted this using 100% acrylic yarn.